This was from the other day. Thank you, Brian for allowing me to share these photos. So far it looks like Edwards is getting the lady Swimming, Long Beach Road has the Jelly Fish, Monroe has the orange Octopus, the orange sun/surf scene is on Grand. National is getting the one with colorful boxes. All of these are being posted on Visions of Long Beach. All photos, courtesy of Christina Kramer from the Visions of Long Beach Facebook group. As you can tell by my last few posts, I’m in love with the tickets booths that were painted this past Saturday. Kudos to the LBNY Arts Council and all the artists who participated. What an achievement! I LOVE the direction this city is going with art. I went back to Kennedy Plaza on a rainy Sunday morning to try to capture photos of all the booths. As you can see, many were covered in plastic wrap, so I did the best I could. I didn’t get every side, but maybe one day this summer I’ll do proper posts on each one. In no particular order, here ya go. As always, click on the photos for larger views. Anne’s Reflections. We see Anne’s photos shared on all the facebook groups. You’re looking at her above photo this month in our city calendar. That photo was taken in February of 2015 – the epic winter. This and many others can be purchased through Anne’s website at redbubble.com. Photographer Christina Tisi-Kramer [website] was kind enough to share her High Resolution Images of the old bottlecap mural. I just can’t let this wall go…. 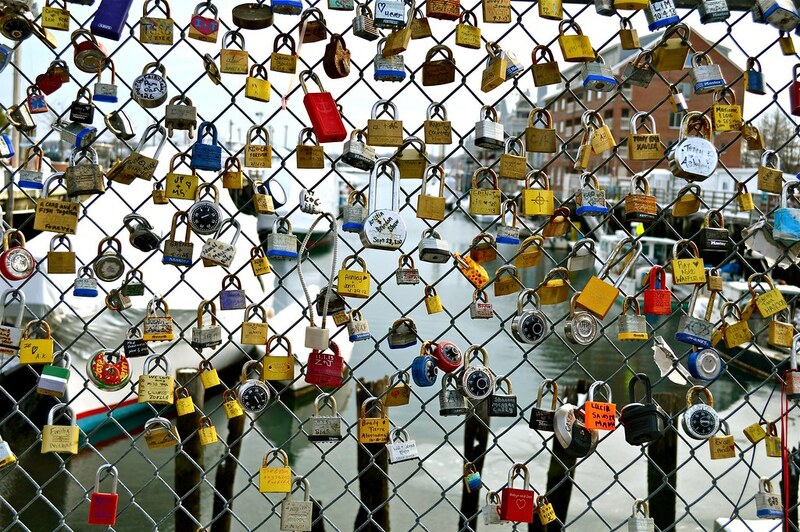 I always likened it to the Portland Love Locks or even the Magic Gardens of Philadelphia. I love painted murals, but the bottle caps were something different: recycled products used as art; not just of color, but of texture. Well, it can now only remain in our memories and images. Thank you, Christina for allowing me to share these images on the blog. I had to put them in this gallery format to help with loading speeds, but click on each image for the full size.